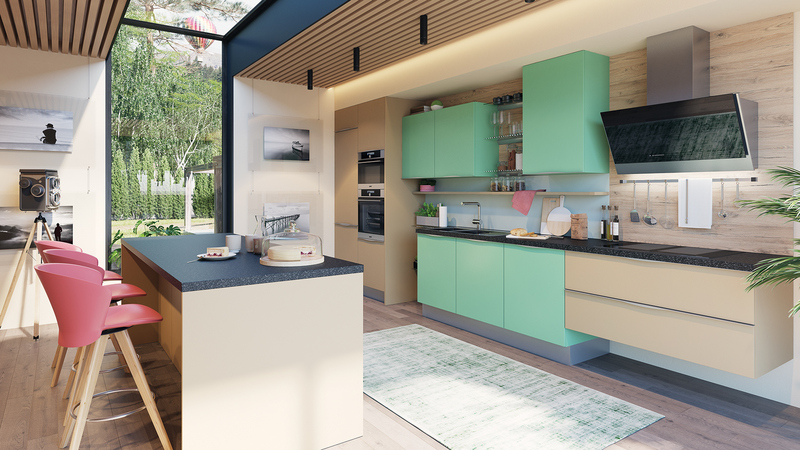 Kitchens aren’t just for eating and preparing your food anymore. They are where families and friends get together to socialize. They are often the focal point of home and set the tone for the rest of the house. 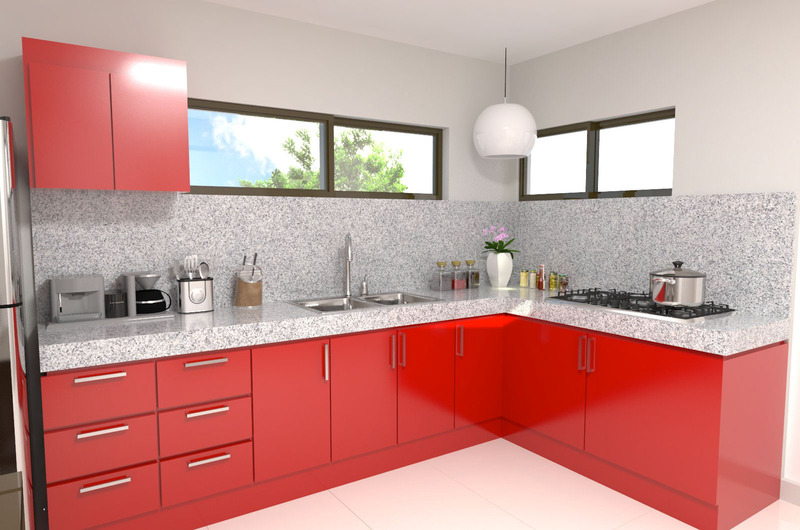 A great way to make your kitchen more inviting and welcoming for your guests is to add a dab of color. 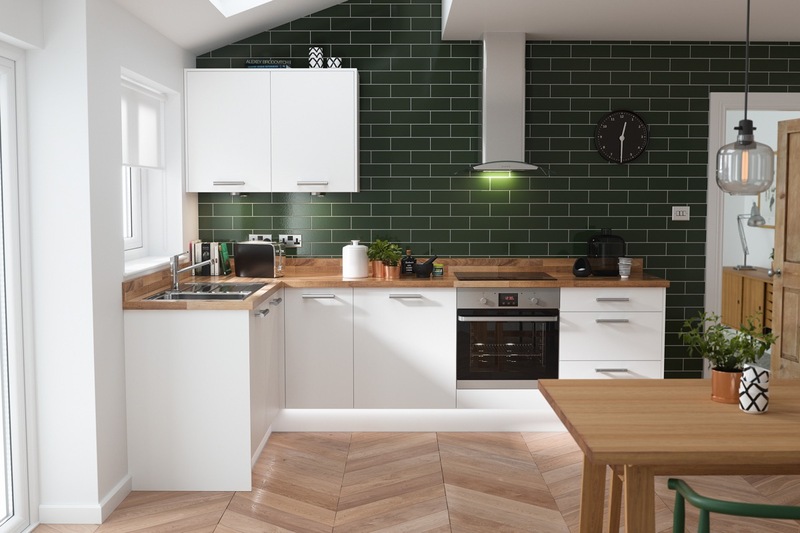 Many kitchens seem boring and bland because they often stick to neutral color schemes and tend to play it safe. 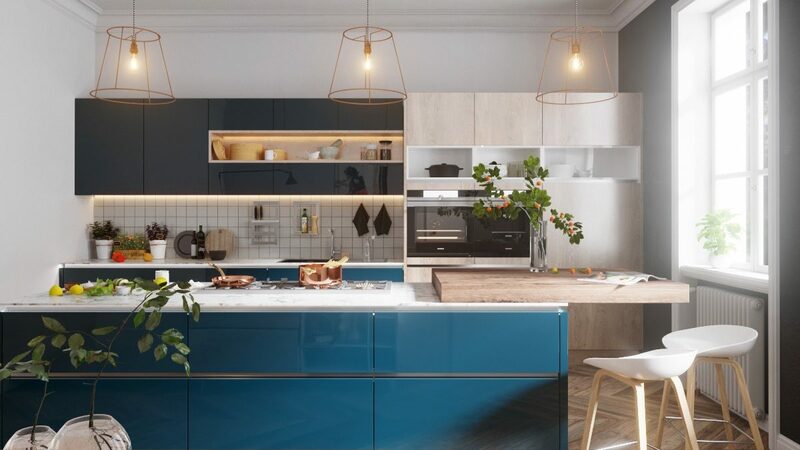 Sometimes all that is needed is a fresh coat of colorful paint on your kitchen cabinets or an accent wall to add a whole new dimension to a space. Don’t be afraid to be bold! 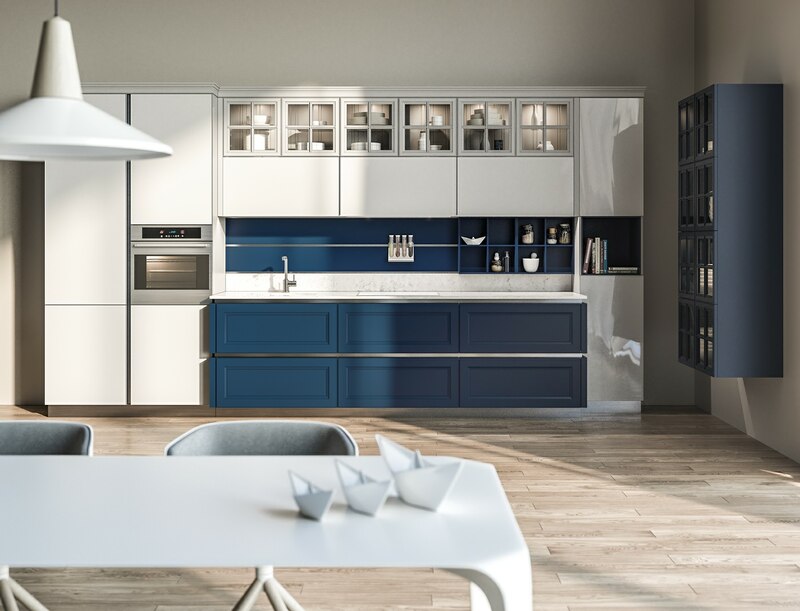 The colors you choose can have a massive impact on the look and feel of your kitchen. 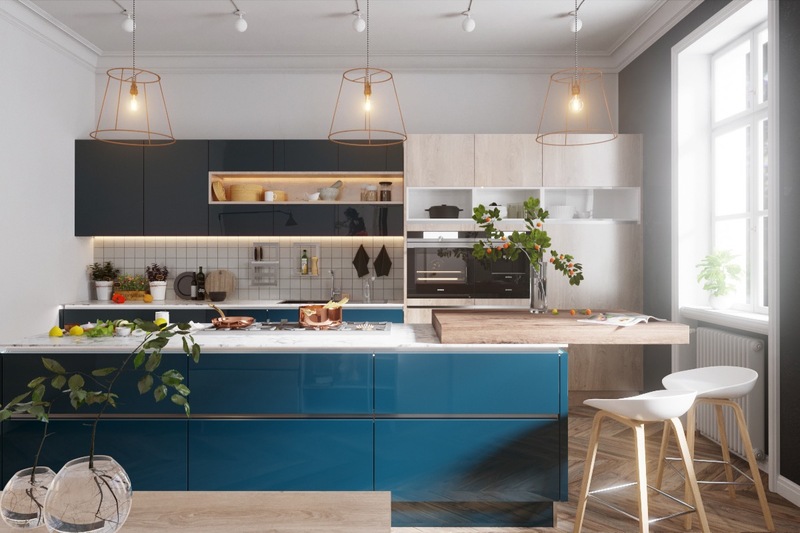 New colors can change a once boring kitchen into something bold and eye catching. 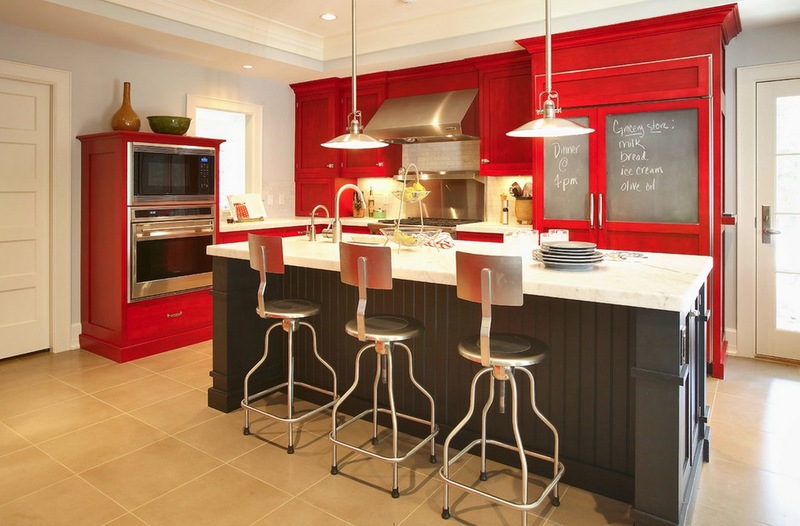 Choosing paint colors for your kitchen can be a daunting task if you don’t have an eye for color. 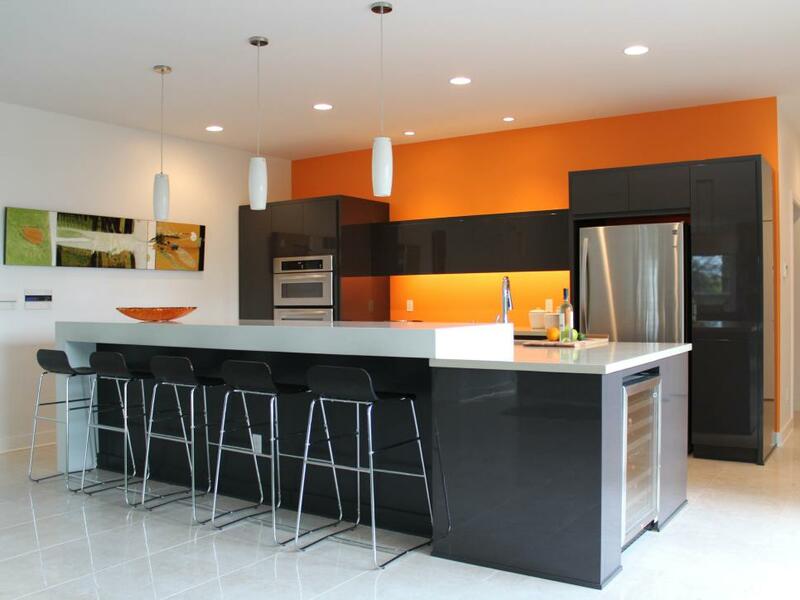 Many people often lean towards cool or neutral colors when painting their kitchen. This is fine but sometimes warmer colors are exactly what is needed to spice things up. 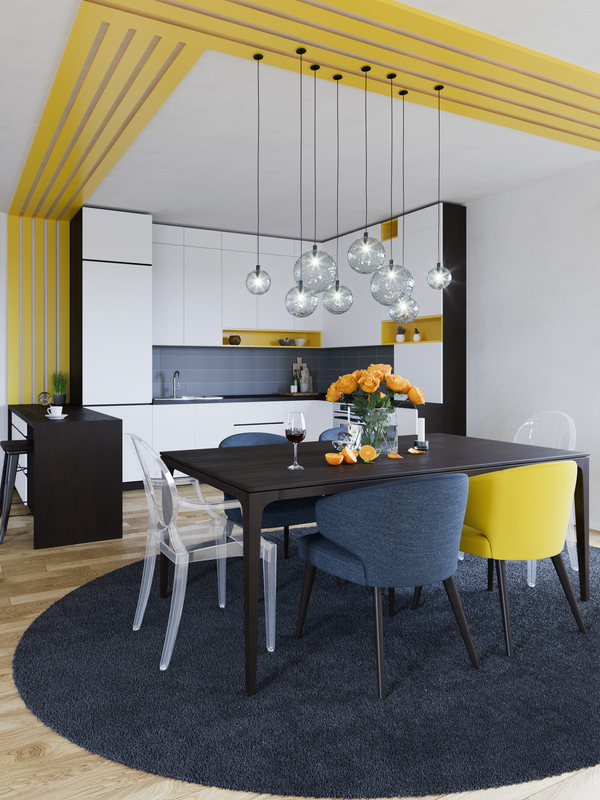 Warmer colors such as reds, yellows and oranges stimulate the appetite and have a much more dramatic effect on the room. Warm colors also reflect more light and can make a room feel more cozy. 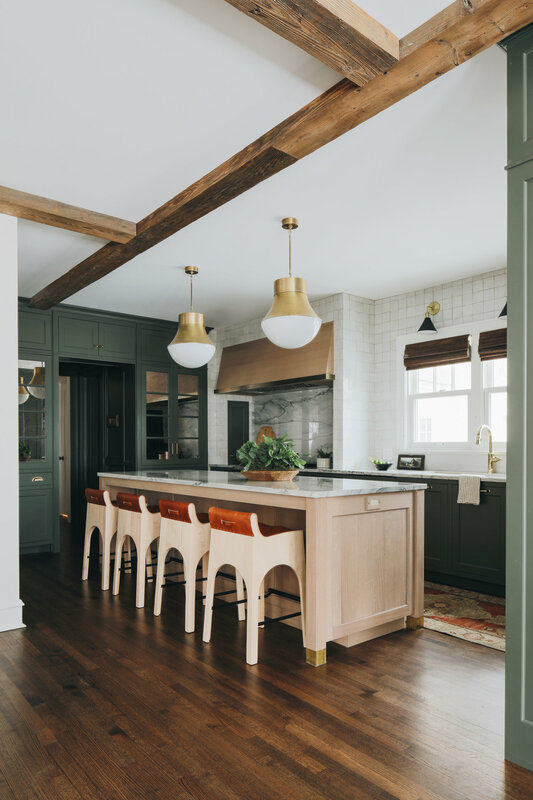 If you are afraid of over doing the color and prefer a cleaner look, start off using color to accent the neutral colors that are already in your kitchen. 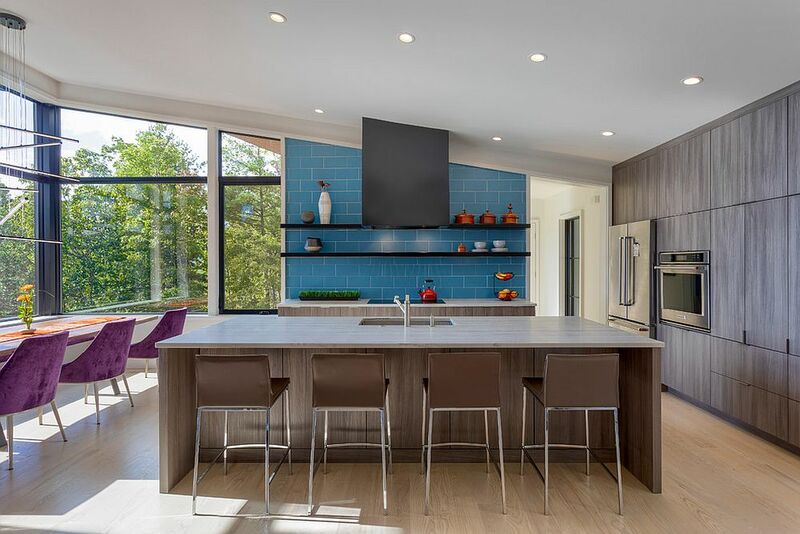 Sometimes all that is needed is a colorful backsplash or using the color of your kitchen accessories to accent the room. 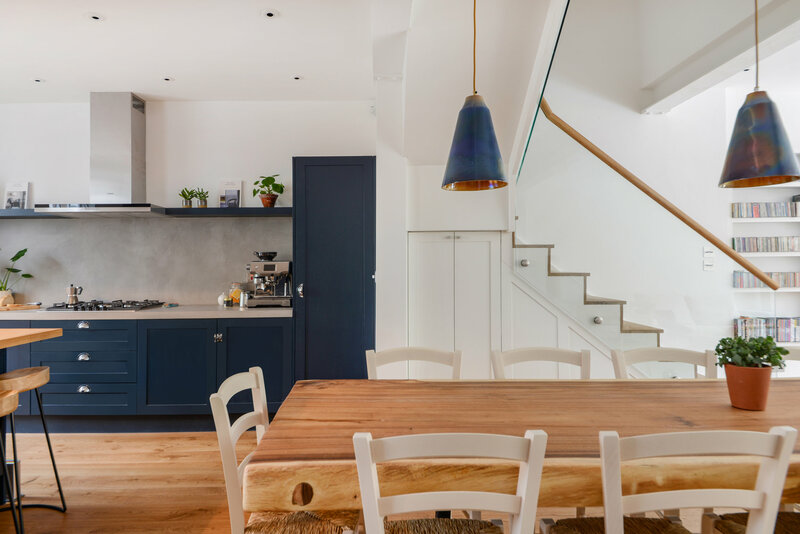 Color co-coordinating simple things such things as place mats, vases, tea towels and artwork can quickly turn a boring kitchen into something much more together. 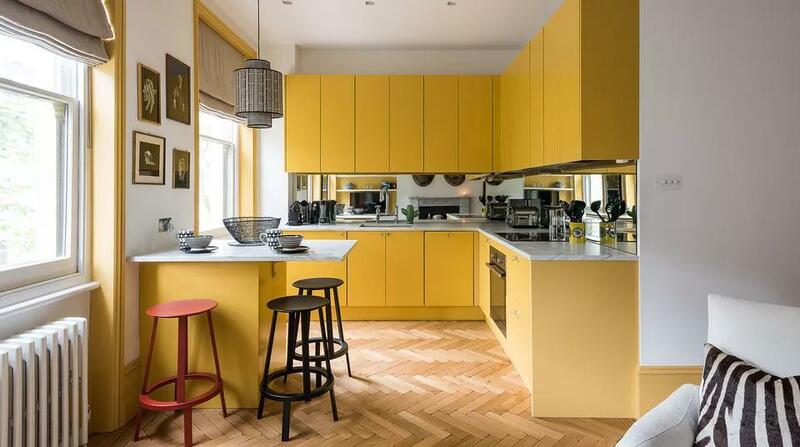 For a bolder change, painting the walls or kitchen cabinets will really set the tone for the room. 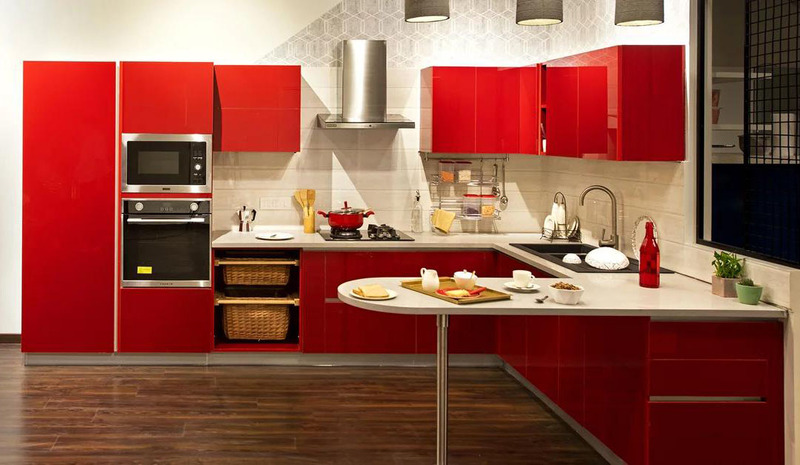 Matching vivid cabinet colors such as blue or red, with a more neutral wall colors is a safe and balanced choice. You get the dramatic effect of the color without it over-powering the room. For something less eye-popping, simply use lighter shades of less saturated colors such as pale yellows and greens. 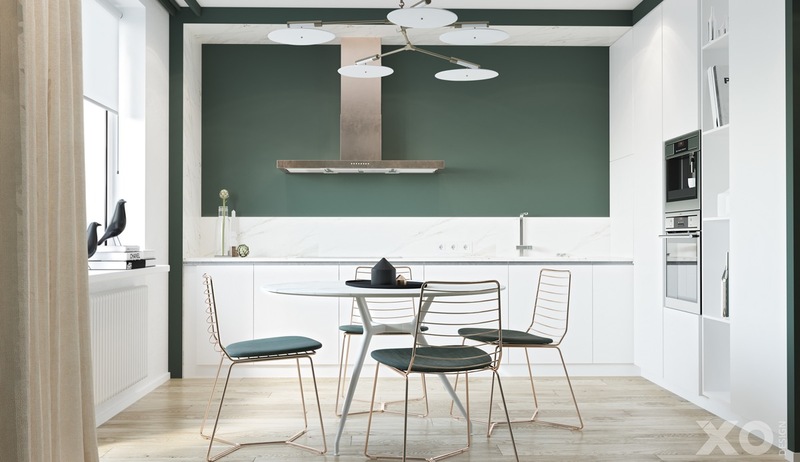 These paler colors will add personality subtly without attracting as much attention. The more you play with color mixing, the more control you will have over the feel of the room. 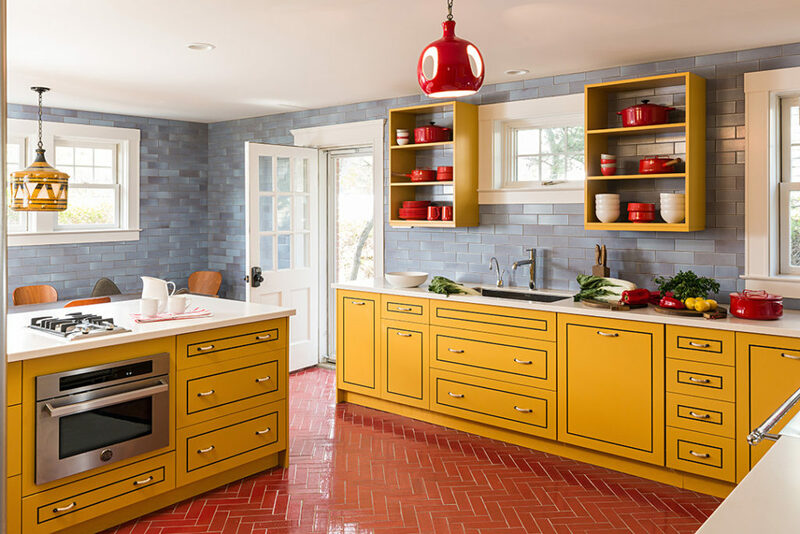 Red and yellow is a popular color combinations often found in European kitchens. 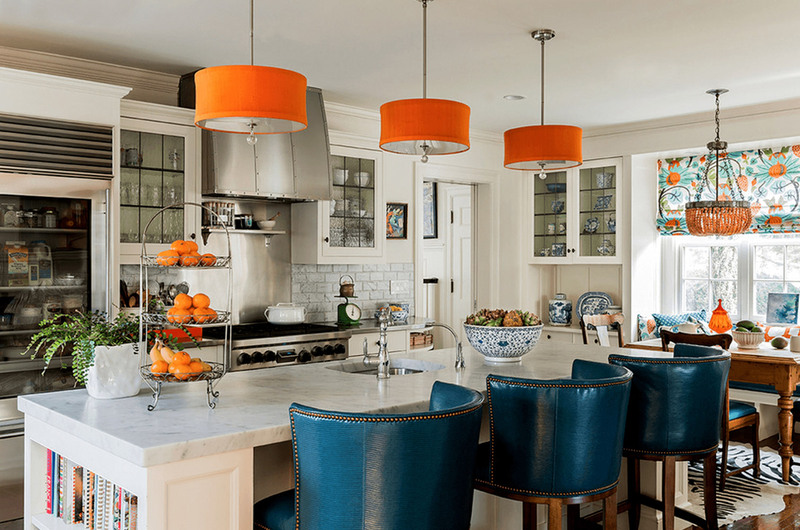 Blue and orange can be a surprising match that can add warmth while also giving a calm and relaxing vibe. Experiment not only with different color combinations but with different shades and saturations. Subtle changes like this often can have a huge impact and change an OK color combination into a great one!